Ankle cramps are painful but common. 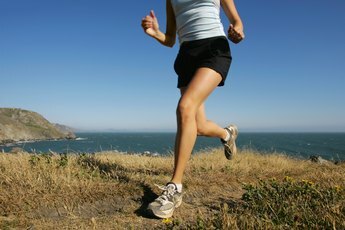 If cramps are plaguing you on more than just a monthly basis -- like in your ankles when you're running -- they could be caused by a variety of different things, from the overuse of a muscle, dehydration in the body, a muscle strain or holding the body in a specific position for a long period of time. Usually muscles cramps go away once the exercise ends, but in some instances they can indicate other issues. A diet lacking in potassium, calcium or magnesium can result in mineral depletion and can contribute to cramping. Medications for high blood pressure like diuretics can also deplete minerals in the body. 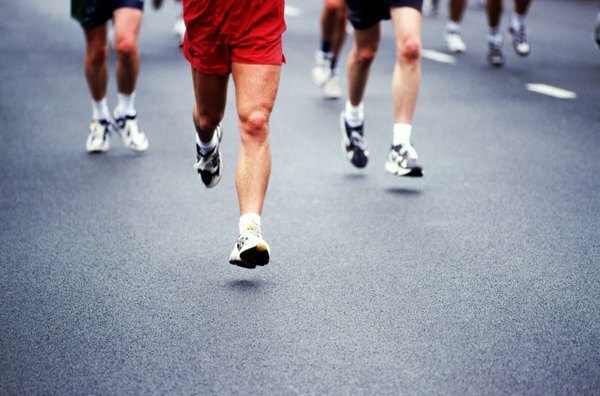 High losses of sodium through intense sweating can result in electrolyte imbalance, triggering cramps in the ankles. Making sure you're properly hydrated, drinking water or an electrolyte replacement drink before, during and after exercise is a good way to prevent both dehydration and muscle cramps. When you're exercising, arteries deliver blood throughout the body including to the legs. In the case of inadequate blood supply, the arteries can narrow and result in cramping pains in the legs and feet. Usually these cramps stop after the exercise ends. As a preventive measure it's a good idea to stretch before running, like making circles with your ankles and doing heel raises to increase blood supply to the body and warm up before running. It can take four weeks for the bones, ligaments and tendons in the body to adjust to new exercise. Overusing the muscles by doing the same activity everyday can result in injury, particularly with a new physical activity. Ease into a new exercise regimen like running and be sure to build in time off to allow the body a chance to recover. A good fit is important when it comes to selecting running shoes. 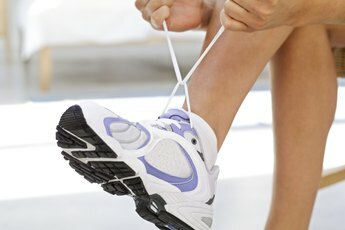 Improper fit can result in injury, so it’s necessary to make certain that your shoes offer the best support for you. Consulting with a doctor such as a sports-related podiatrist or orthopedist can be a good idea to make certain you're wearing the appropriate shoes in order to avoid common running related injuries like ankle cramps.